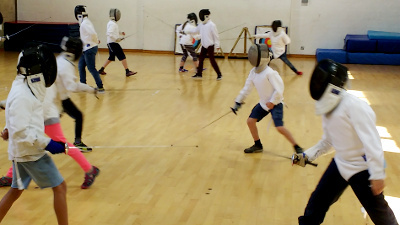 We are currently lining up a return to Parklands Leisure centre in the Tuesday 5-6:30pm slot commencing Jan. 16th with a four-week introduction to fencing for juniors aged 8-14. 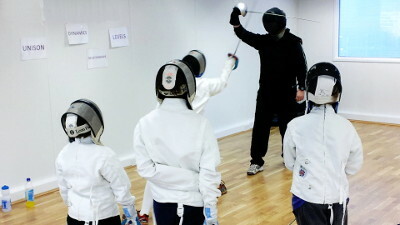 Sports fencing with all equipment provided; group and individual lessons, Olympic-style electric fencing. All abilities welcome. 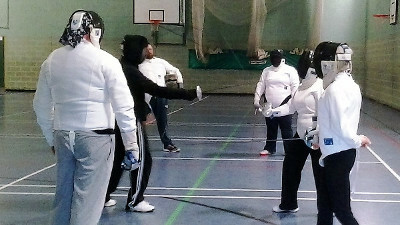 We are currently arranging a venue and timeslot for a new adult beginners fencing class in Okehampton commencing week of 15th January, weeknights. 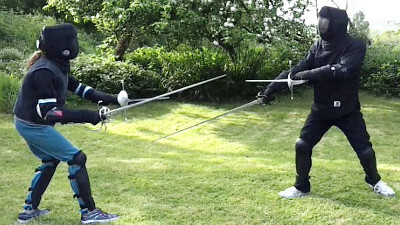 Our historical combat class for adults continues Thursday January 11th, 8-9:30pm in Okehampton. Progressing with single sword, sword and buckler, dagger and rapier, there is optional light free-play in some of the weapons.